Tony Greenstein's Blog: What kind of State blackmails people – no hospital treatment if your relatives don’t ‘return’ to Gaza? 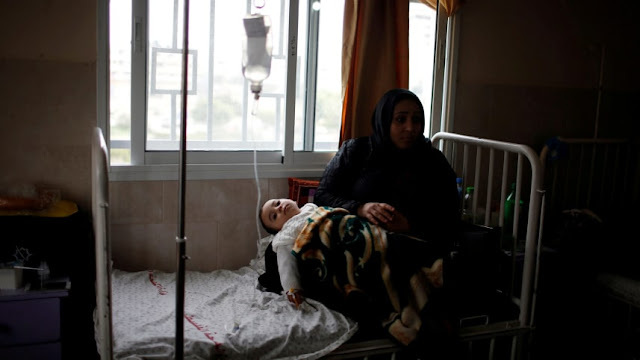 What kind of State blackmails people – no hospital treatment if your relatives don’t ‘return’ to Gaza? Nothing Israel does should be of any surprise. The small, petty cruelties such as denying people essential medical treatment because their relatives have refused to return from the West Bank to Gaza. You see it is ‘illegal’ for Palestinians from Gaza to reside in the West Bank (‘Judea and Samaria’) but it’s not illegal for settlers, who live on stolen land, to do so.